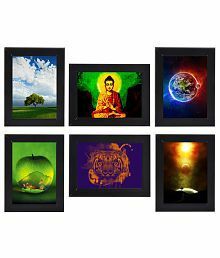 Art street Special Moments - Set of 8 Individual wall Photo Frames with Family MDF Plague@1050 Rs [Mrp:-2000] - Onlinedeals.discount - A leading product discovery website. Find the true prices of products, read reviews and buy top brand products at reasonable prices. Each of our photo frame has 1” inch of width and comes with Plastic cover so that it reaches you scratch less. Package Contents: Set of 8 individual frames with Plain Glass on the Top with Family MDF Plague Pictures can be changed easily and frames can be hung on walls. Picture Sizes are shown on the Image. 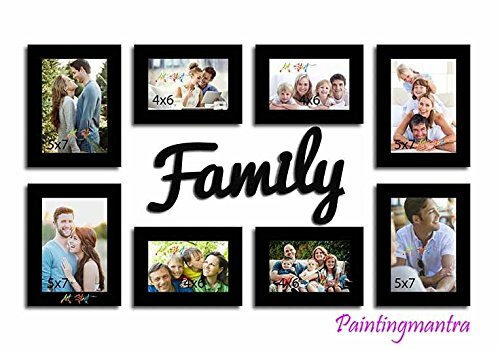 Enhance the bond between your loved ones with the Special Moments – Set of 8 Individual Photo Frames with Family MDF Plague. Hang the product on your walls and keep your fun family days alive forever. Please Refer the Images for more Information.